The right strategy & selection decisions. From the people who wrote the report. 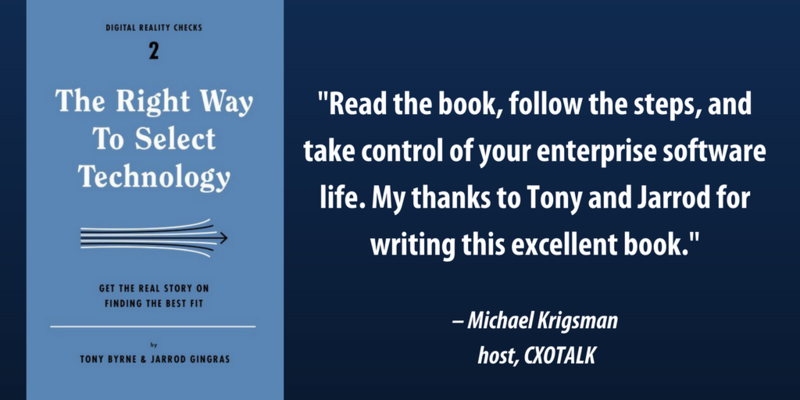 Make the right choice with help from the authors of the new book, The Right Way to Select Technology. Our experts will take you through an adaptive, test-based selection process. Get rapid, expert analysis of your business and technology goals, and come away with a strategic roadmap. Getting up to speed on modern methodologies, trends, and marketplaces around digital technology is hard, but RSG's expert workshops can accelerate your learning. Workshops range from half- to full-day at your facility. You can involve as few as five participants and as many as 500, including offsite employees. Each session offers state-of-the-art information and advice, followed by interactive break-outs to explore your particular digital transformation needs and opportunities. Every RSG workshop concludes with a joint wrap-up, to isolate practical next steps and identify long-term strategies, to make your investment actionable. Call or Email us to see how we can help you succeed. These organizations trust our unbiased analysis.